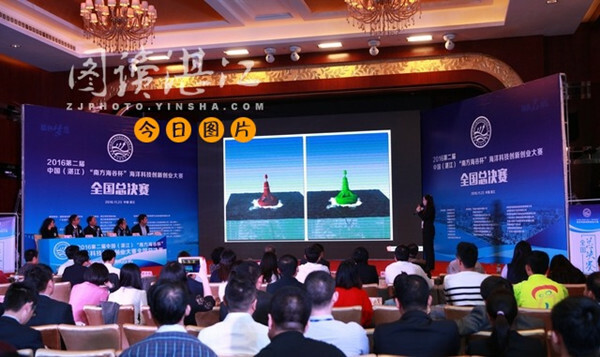 As a precursor to the national-level marine economy expo being held in Zhanjiang from Nov 24 to 27, a nationwide marine technology innovation competition was held. 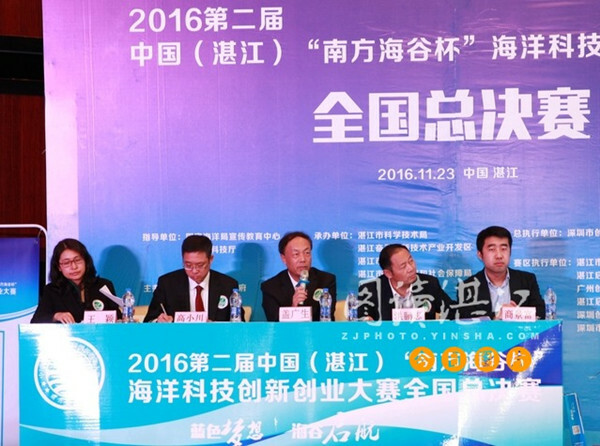 The 2016 China (Zhanjiang) Marine Science and Technology Innovation & Entrepreneurship Competition attracted 994 projects during the three-month build up to the expo. Twelve startup and 18 enterprise projects made it through to the final round of the competition on Nov 23 and battled it out to see which is the most innovative, feasible, and with the most commercial value. A Zhanjiang enterprise came out on top winning first place in the enterprise category. Their project detailed a green technology in dealing with prawn processing. A Shanghai team's new-type of construction material made of water heat-hardened sea sands took first place in the startup category. The final competition also produced four silvers and six bronzes, among whom most winners focused on big data. Such as, a project from a Beijing team which developed high-end survey equipment measuring complex data on marine hydrology, geology, and topography. Other highlights included underwater robots, advanced composite marine materials, and unmanned vehicles capable of carrying sea containers. 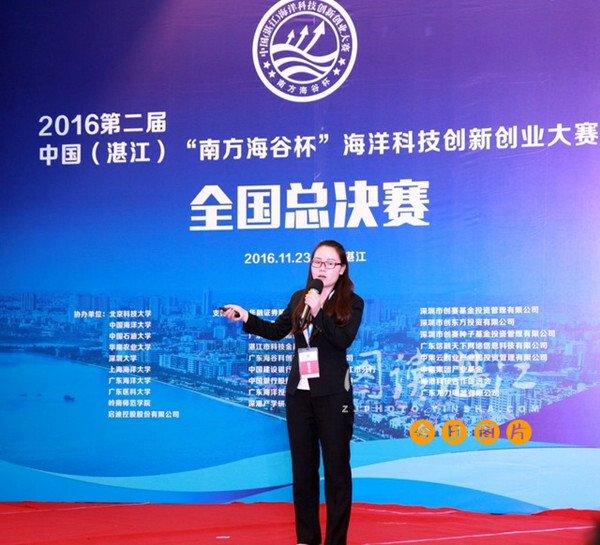 The outstanding projects were not only presented with certificates and rewards, they were also offered an opportunity to exhibit at the China Marine Economy Expo 2016.